While your home inspector is legally obligated to tell you most things, it’s hard to file a lawsuit if you end up with the home equivalent of a lemon. 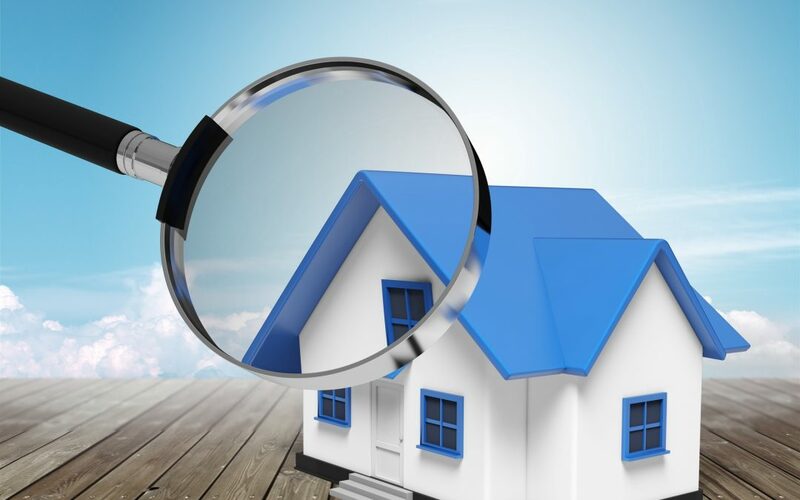 If you know what to ask during a home inspection, you can get a clue as to the things that your inspector isn’t required to put on the report. But that doesn’t mean that they’re any less important to know. Here are four things to look into so that you have a better idea of what’s going on with your inspection. While you might feel rude at first, asking about credentials is a reasonable thing to do when dealing with a home inspection. The credentials held by a home inspector help you determine what their specialty is and how long they’ve been doing it. You get to know if they’re part of a professional organization that has experience with homes like yours or more commercial entities. If a home inspector doesn’t have the right insurance, they might not be prepared to inspect your home. If they aren’t going to be held responsible for any decisions they make or have insurance to back up their claims, then you should consider someone else. Ask them what they consider to be red flags. While you might have your own list of issues that you want to pay attention to, knowing what’s important to your inspector is pretty informative. If you understand what they’re looking for, you also know what they’re not looking for. Do some research and look them up online. The more time you spend learning about whether or not they’re the right person for the job, the better you can understand their perspective on your home. While they’re certain to want to do the best job to help you out, everyone has their strengths and weaknesses. Talk to any homeowner and one of the top problems that they fear having to deal with is going to be their roof. A leaky roof could cost you a few hundred to tens of thousands to repair. Water damage that starts at your roof becomes a serious as problem quickly, even if you don’t notice what’s happening with it very quickly. Ask about the condition of the shingles on your roof. A few damaged shingles are easy to replace, unlike a whole roof full of shingles that are falling apart. If there’s a large accumulation of asphalt granules in your gutters, that means that your shingles are starting to deteriorate and it’s time to replace them. Major signs of wear and tear need to be documented. While your home might pass an inspection, that doesn’t mean you’re not looking toward a major replacement sometime soon. If you find that your roof is in bad shape, you could negotiate the price down considerably to account for the repairs to come. Given that roof replacement is an expensive affair, don’t take this question lightly. Expect some details and an estimate so you can bring that quote to your seller to negotiate the price down. One of the most challenging things to replace in any home is old or faulty electrical work. Electrical work lives beneath the floorboards or in between the walls. If wiring is old or could put your home at risk of a fire, then you need to consider whether or not this is the home for you. Electrical fires are a common occurrence in older homes where wires are still insulated by fabric. If your inspector finds that it’s only barely up to code, then you need to consider the cost of an upgrade. Adding higher capacity breakers or putting more demand on bad wiring could just cause a higher risk of a fire. Some insurance companies won’t insure your home if you have “knob and tube” electrical work. Check to see that this isn’t the case for you. If there are a lot of strange mistakes like outlets close to water sources, that’s a bad sign. You should reroute your electrical work away from your plumbing or water sources. There should be a healthy amount of space between the two, even in kitchens, bathrooms, and garages. Third only to your roof and your electrical work, plumbing repairs are expensive and could require a lot from you. You could have to tear up floors, walls, or structural elements to get into your plumbing. You need an inspector who is going to look at your drains, water heater, check out the pressure, and investigate your pipes. Go with your inspector during this process and flush all the toilets. Water should stop running as soon as the toilet is filled. When you run sinks, things should flow easily. If you find that there’s a lot of jumpy stopping and starting once you open a valve, you might have problems with air in your line, meaning that there’s leakage. When water goes down your drains, it should flow quickly and easily. If you notice that turning on one thing causes problems in another or causes bubbling in another sink, there are unseen issues. Plumbing that shouldn’t be connected probably is. Be sure you don’t have galvanized steel pipes in your home, as they’re liable to rust, which causes ruptures. If there is lead piping, it needs to be replaced, as any amount of lead in your water supply is bad for children and older people. Much of what to ask during a home inspection has to do with what you’re looking for in a home. If you’re not overly concerned with the plumbing or electrical work, you should ask about the foundation or structural elements. Depending on what’s important to you in a home, ask what comes to mind and see if they can answer. If you want to know what’s on the checklist of an average seller, check out our guide for details.